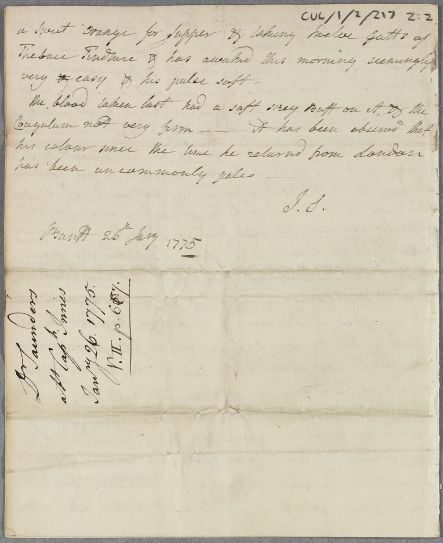 Case note on Captain Innes drawn up by Dr James Saunders of Banff, sent as enclosure with Doc [ID:1115]. Innes has been vomiting up blood. 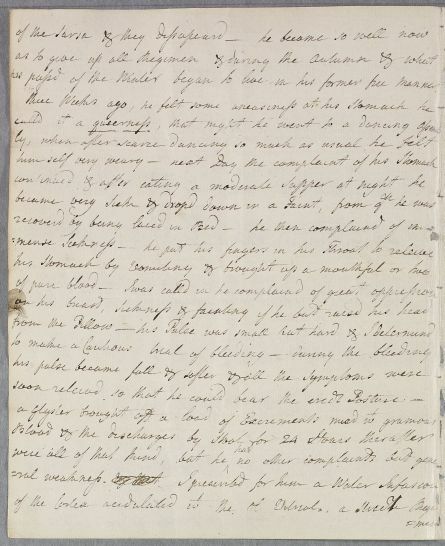 Summary Case note on Captain Innes drawn up by Dr James Saunders of Banff, sent as enclosure with Doc [ID:1115]. Innes has been vomiting up blood. 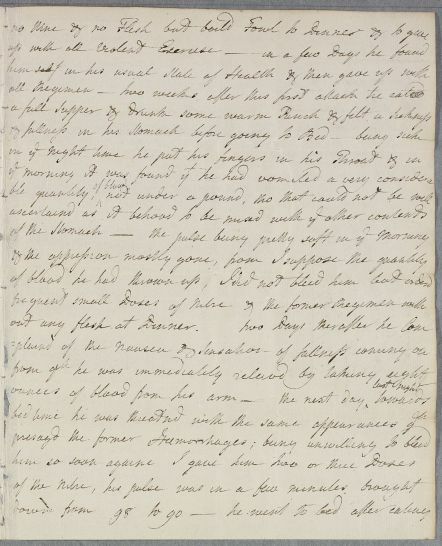 Case of Captain Innes whose current, varied complaints began with an inflammation of his eyes. 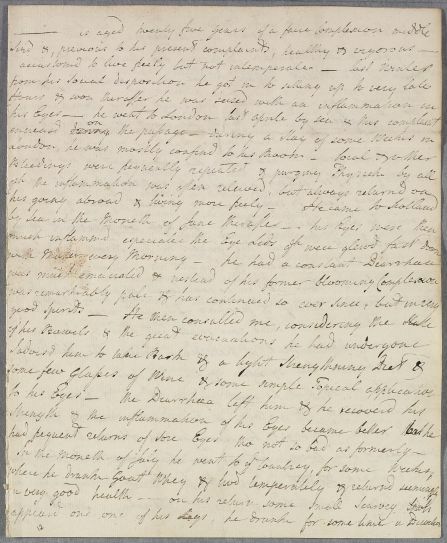 has passed of the Winter began to live in his former free manner. very & easy & his pulse soft. 1: Twelve drops (from Latin "gutta" for "drops").